Again, another non-mystery. But this book has time travel. Time travel. I love time travel. I love the thought of time travel, the ripples it could make in the universe. Thinking about time travel can give me a headache. Did the events unfold the way they did because you went back in time and changed them? Or had you always traveled back in time, and events unfolded the way they were supposed to all along? Does the time travel create an alternate timeline, or the time travel was always there keeping the timeline straight? 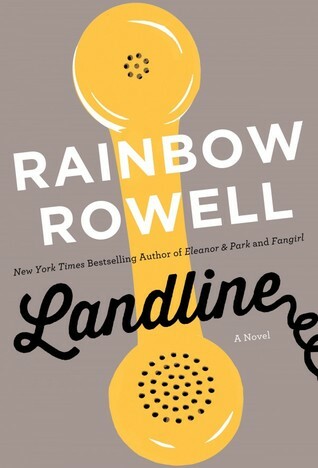 Of course, when I read that Landline had a magic phone that connected 2013 Georgie McCool to her 1998 (not yet) husband Neal, it became a must read. And the mystery in this book becomes – is the magic phone real, or is it all in Georgie’s imagination? If it is real, is she supposed to change something? Fix something in her marriage? Make something happen? Is she messing things up? Is this the way it happened all along? Have I mentioned yet that I love time travel? Great characters. Great dialogue. Great premise. I listened to the audio book in the car, and sometimes I would find myself at my destination, still sitting in the car to keep listening to the story. The book goes back and forth, with Georgie in the present, sometimes remembering the past. Georgie and Neal’s love story is told in bits and pieces over the course of the novel. It’s not told in chronological order either – the pieces come as events remind Georgie of different moments in their relationship. This is one of those books where at the end, I’m still thinking about it. Still living with the characters. Still wondering about the possibilities of a magic phone. That magic phone. Time travel, with a twist. ← Books! The Best Weapons in the World!